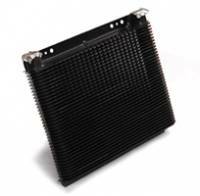 Tru-Cool Engine Oil Coolers provide excellent quality and effective cooling at an affordable price. Pit Stop USA is The Online Motorsports Superstore! 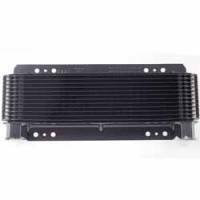 We feature Oil Coolers at low everyday prices. Pit Stop USA is The Online Motorsports Superstore! 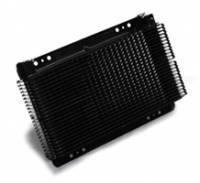 Tru-Cool Oil Coolers are marketed by Long Manufacturing. Long Manufacturing is the worldas leading manufacturer of oil coolers, with current production exceeding 20 million units annually. Founded in 1903, Long originated in Detroit as a radiator manufacturer supplying Americaas pioneer auto industry. Today, Long Manufacturing parent company is Dana Corporation, and they continue our reputation for engineering quality. Race engine builders generally agree that motor oil loses a good deal of its protective capabilities when it becomes sxcessibely hot. Keeping oil cool, through use of a good oil cooler, not only prolongs engine life, but can spell the difference between winning an important race and not finishing at all. 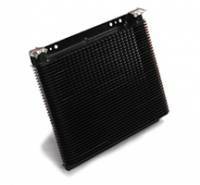 Tru-Cool Engine Oil Coolers provide excellent quality and effective cooling at an affordable price. The patented "stacked" plates offer 35% more cooling than conventional units. Tru-Cool Heavy Duty Engine Oil Coolers have 1/2" NPT inlet/outlet. We feature Tru-Cool Oil Coolers at low everyday prices!